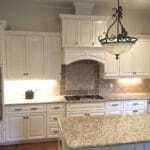 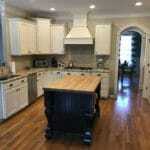 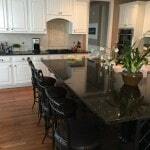 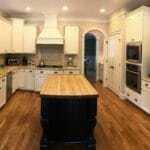 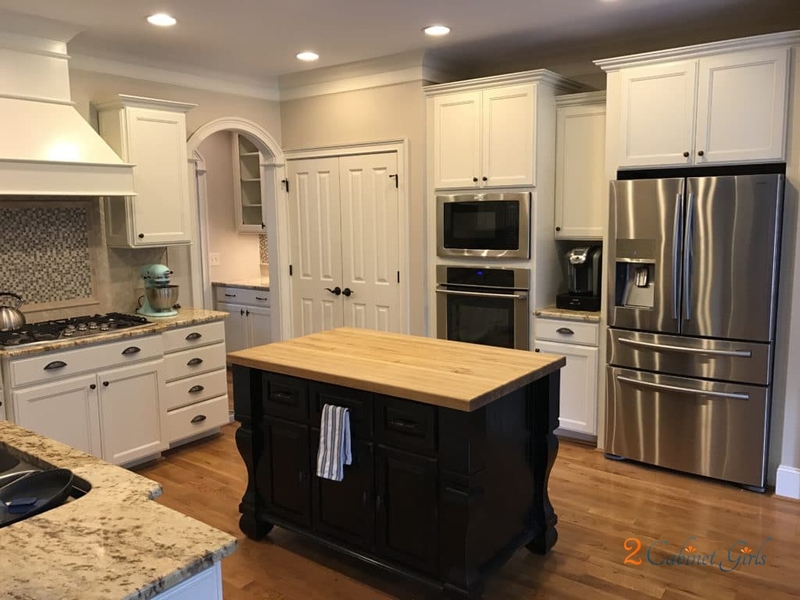 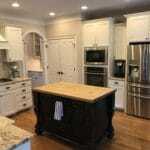 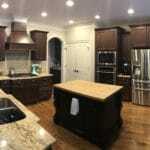 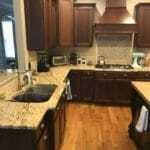 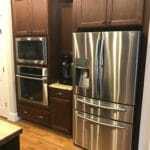 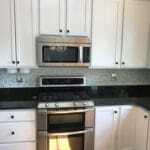 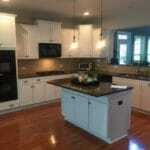 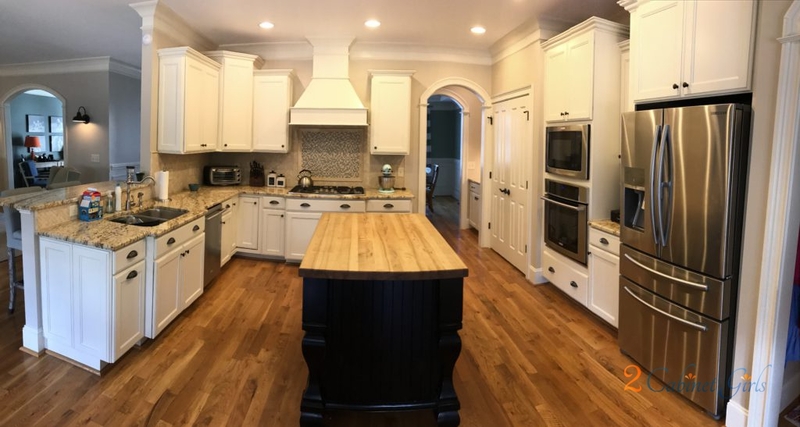 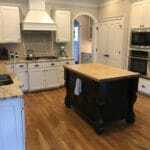 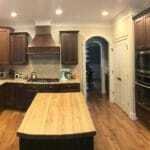 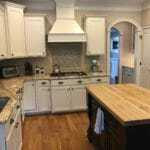 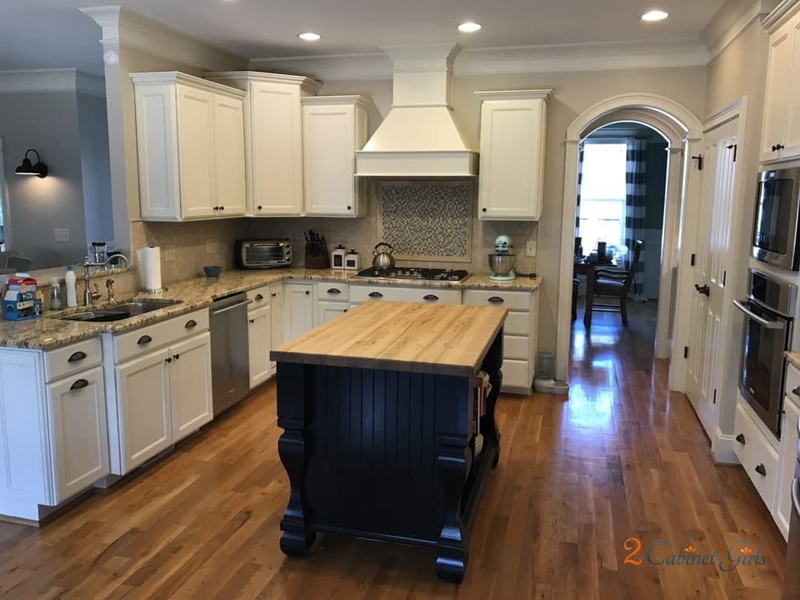 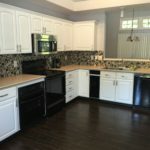 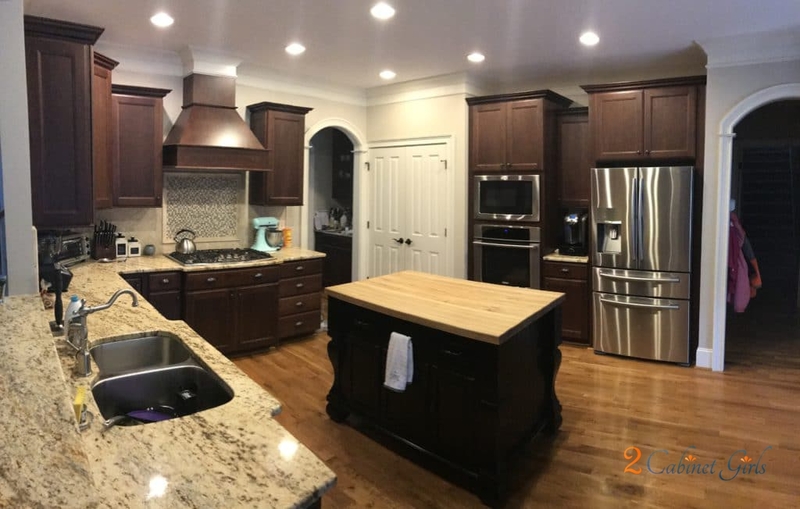 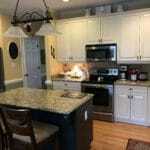 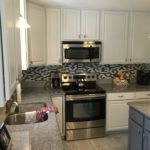 What a HUGE transformation we made in this gorgeous kitchen. 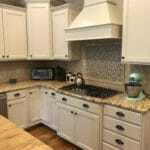 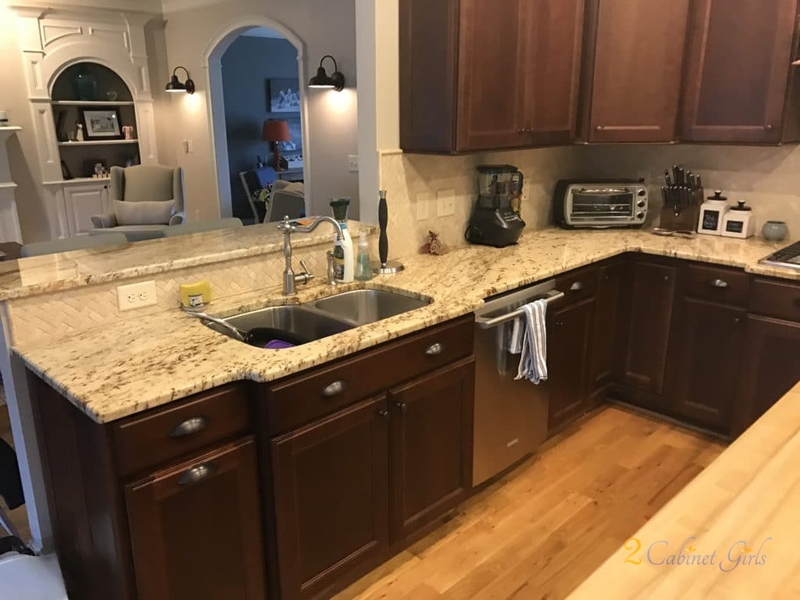 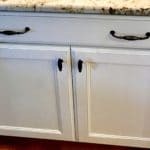 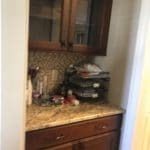 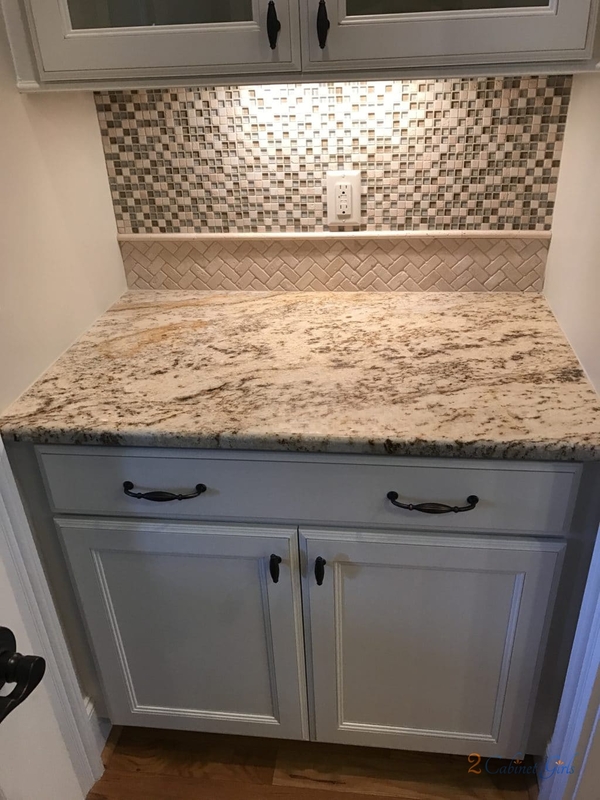 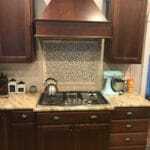 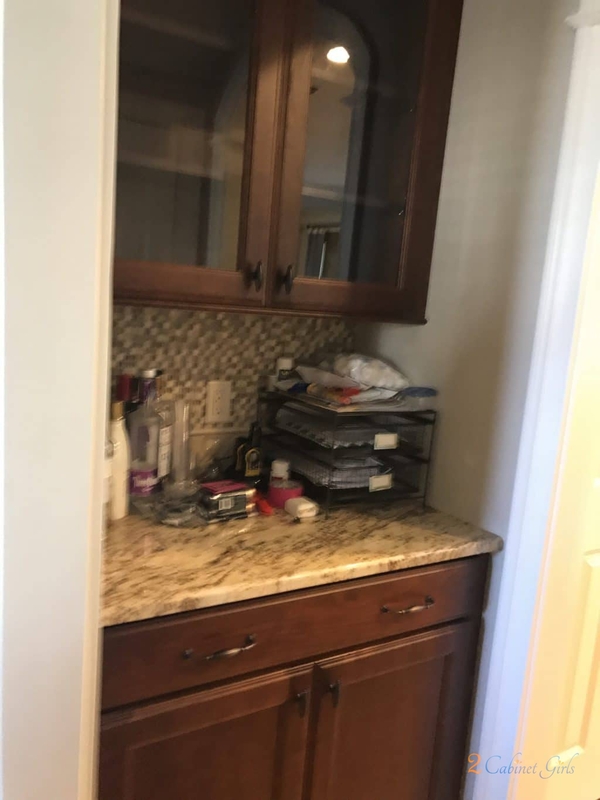 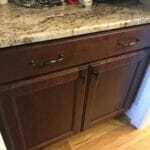 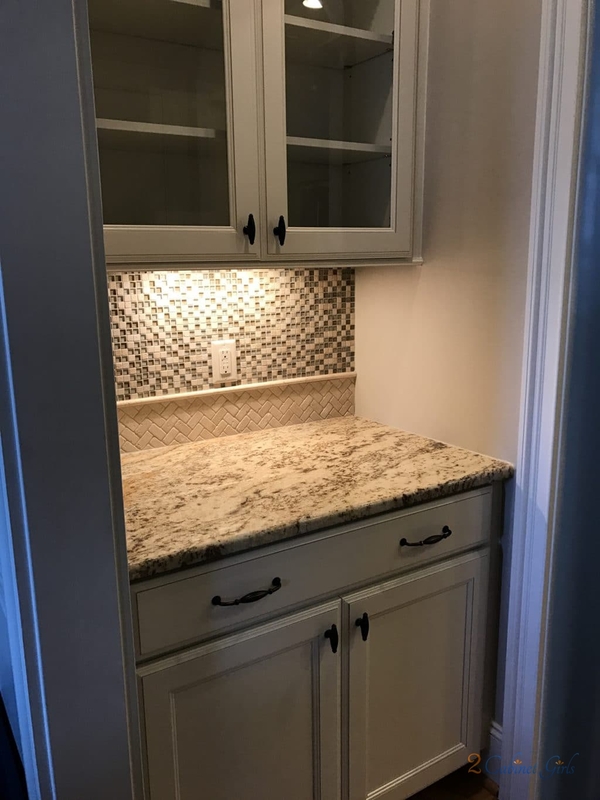 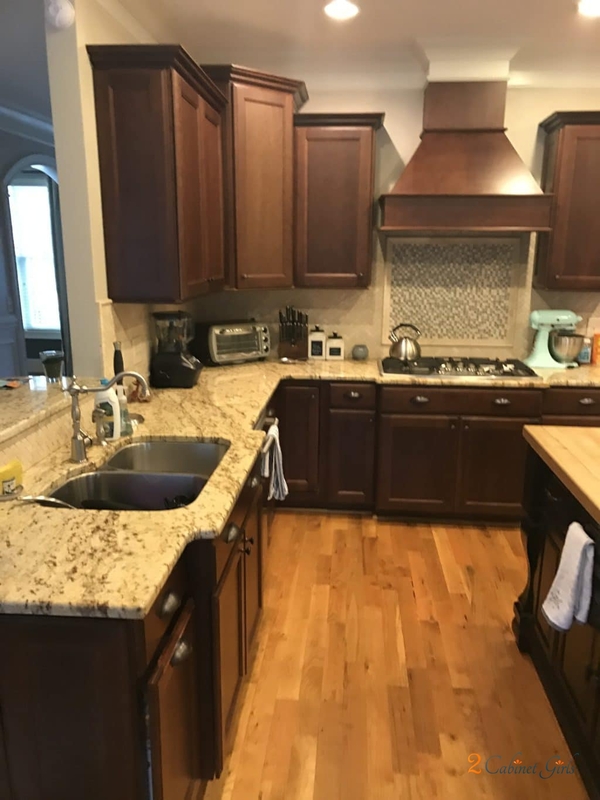 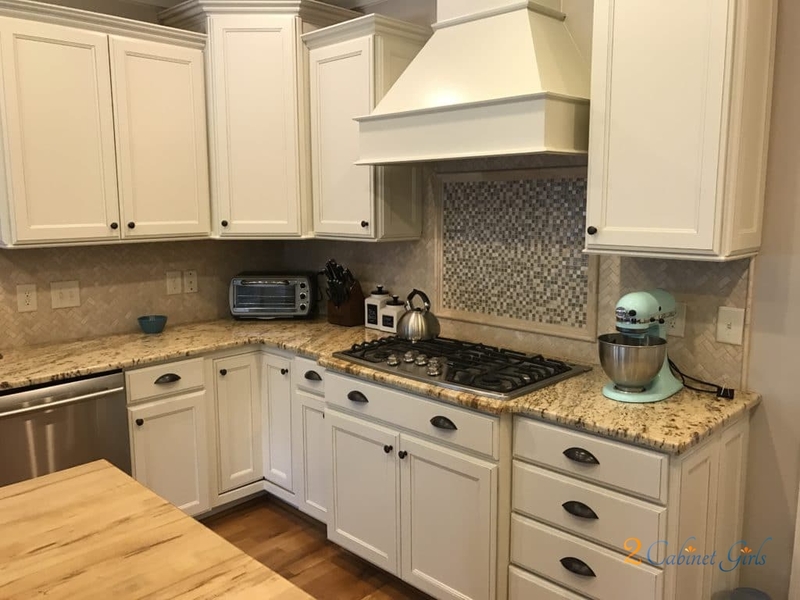 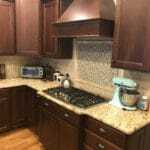 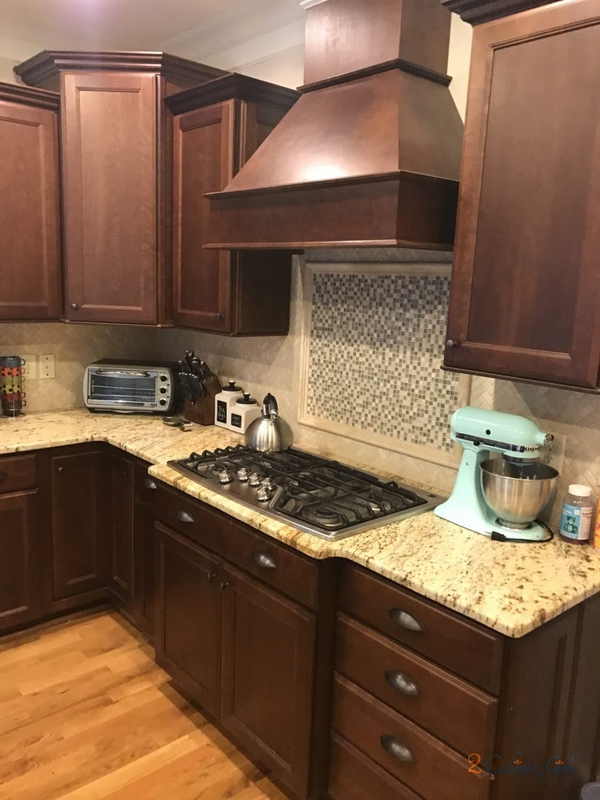 The travertine tile backsplash and the beautiful, warm granite, didn’t stand a chance when it was competing with the dark, dated cabinets. 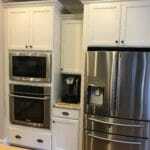 Now they stand out and take center stage. 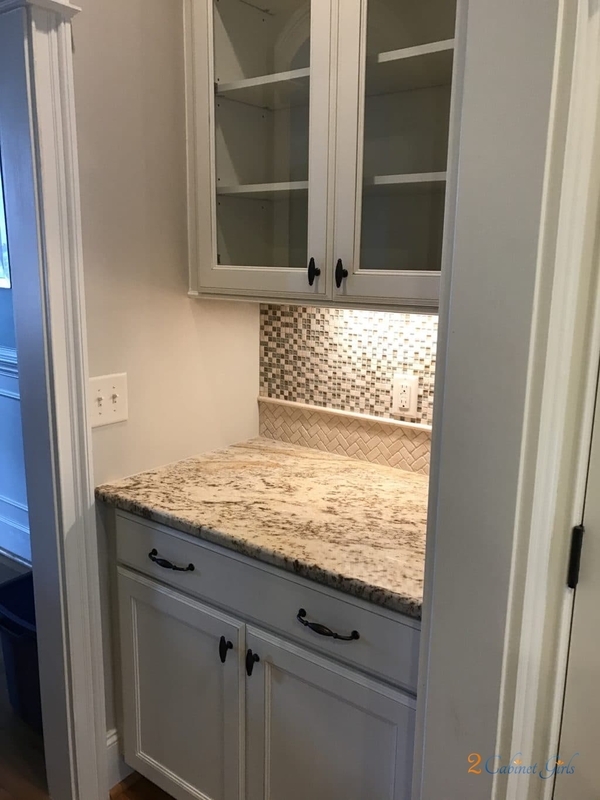 We used the same color as the trim in the home, Sherwin Williams Nacre, to help tie everything in together. 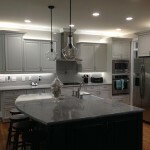 Now the kitchen flows with the rest of the home, and it feels so much brighter too! 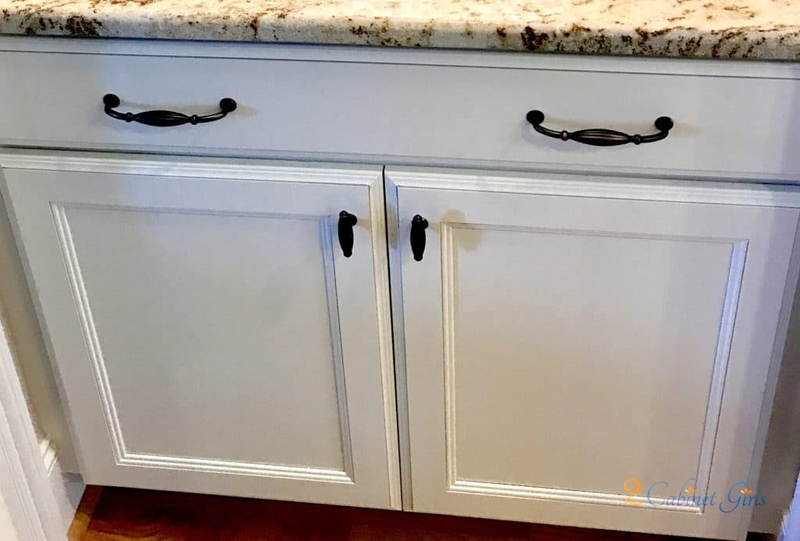 We added a double pinstripe glaze to the doors as well, in Sherwin William Tony Taupe. 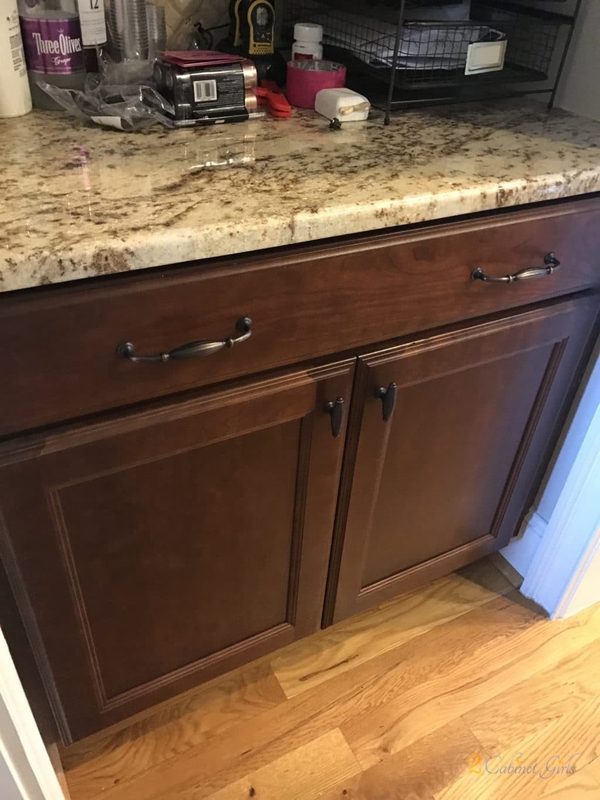 This same color is found in the bookshelves in the adjacent space so it makes the 2 spaces feel like one. 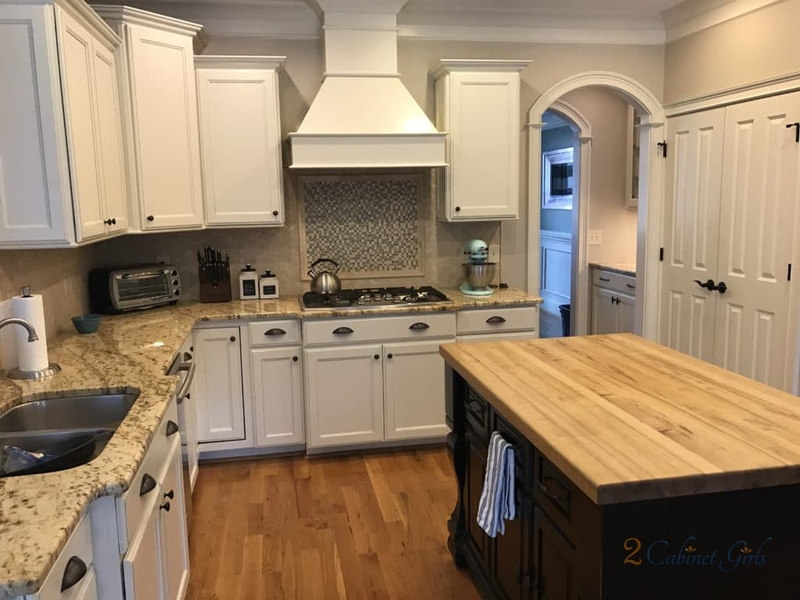 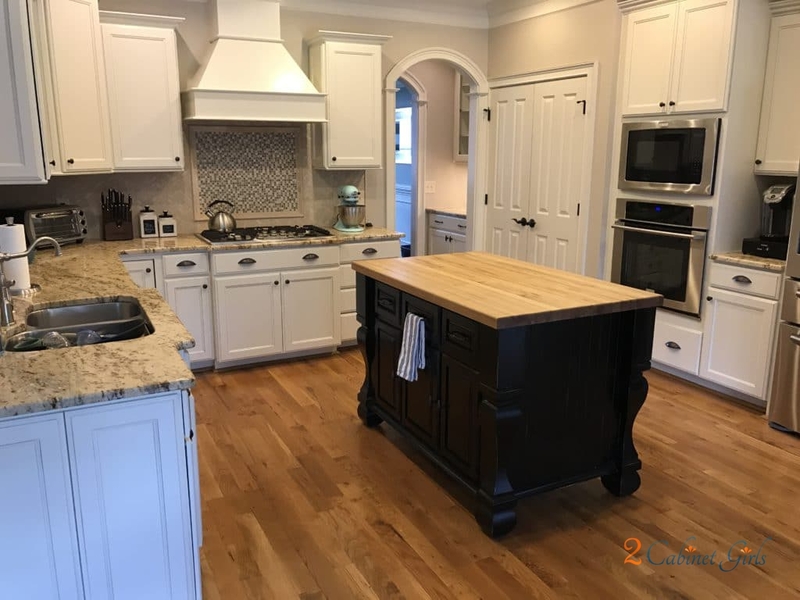 There was no need to paint the island in this kitchen, it was already too pretty. 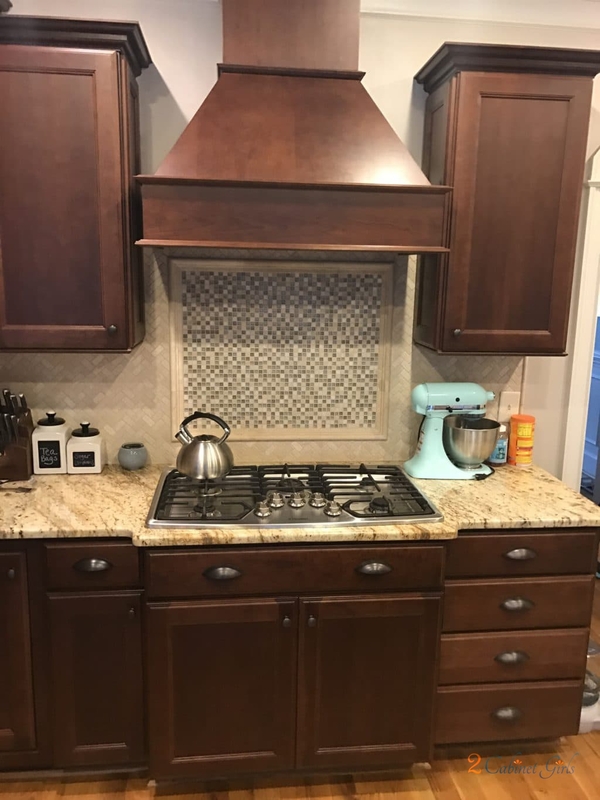 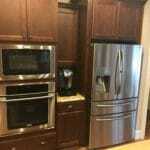 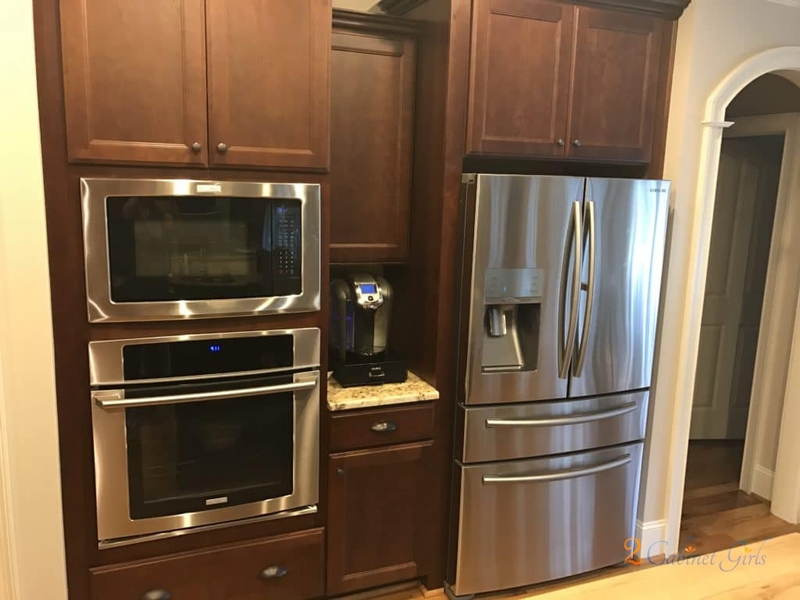 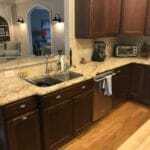 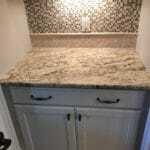 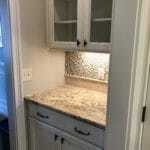 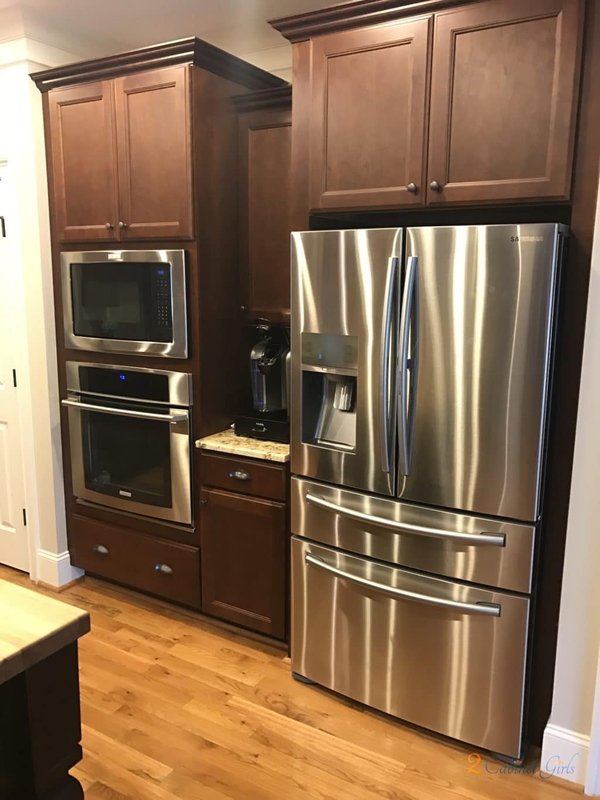 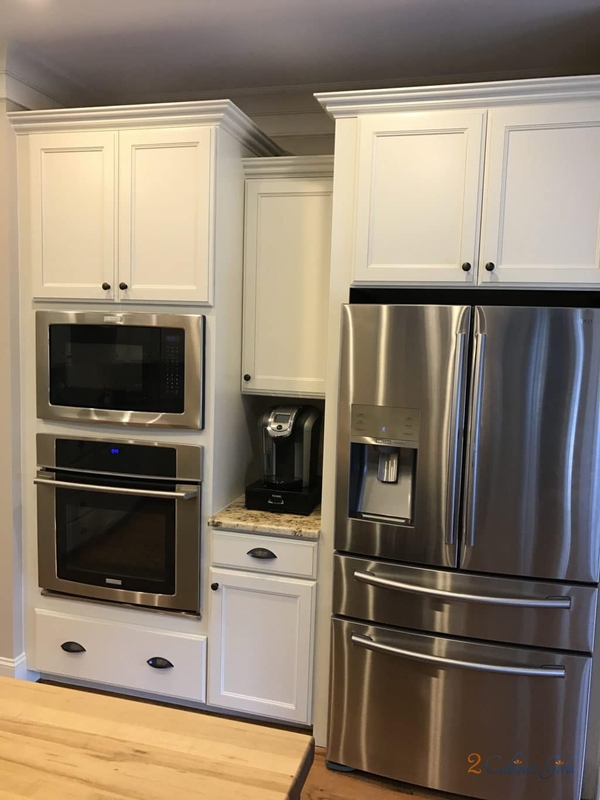 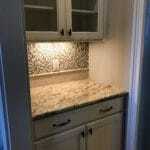 But now, with the lighter cabinets surrounding it, it really stands out!